Patellofemoral pain syndrome is a common cause of anterior knee pain. Young women are often affected by this clinical picture. The patella shifts outwards due to various reasons, resulting in intense pain for those affected. This is exactly where the Patella Pro brace comes in, guiding the patella back to the centre during flexion as well as extension of the leg. At the same time, the patella is only ever tracked as much as the respective movement demands. Many users experience significant pain relief along with an increased enjoyment of movement. 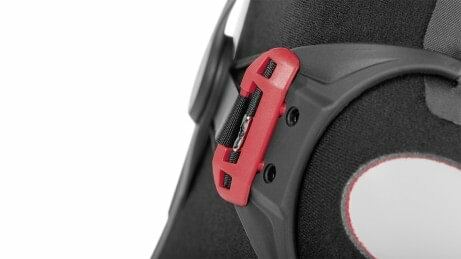 The opening aid makes it easier for patients to put on and take off the Patella Pro. 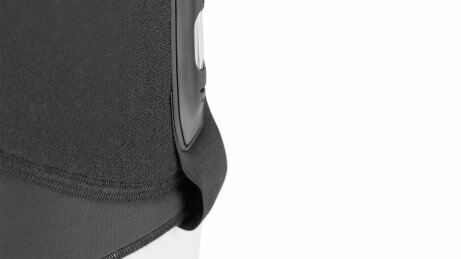 The shape of the patella support (patella = kneecap) adapts itself comfortably to the individual knee and ensures proper tracking. Finely varied ratchet adjustment of the patella support allows individual adjustment to the patient. The patella is tracked precisely to the centre during flexion as well as extension of the leg. This occurs dynamically and with no more force than that required by the respective movement. Slim, lightweight design is combined with a breathable and unique fabric that prevents slipping and is therefore good for wearing under clothing. Excellent adaptation to leg shape on the inside and outside. This flexibility provides a high level of wearer comfort. Easy to put on and take off, including for sports and other everyday activities. 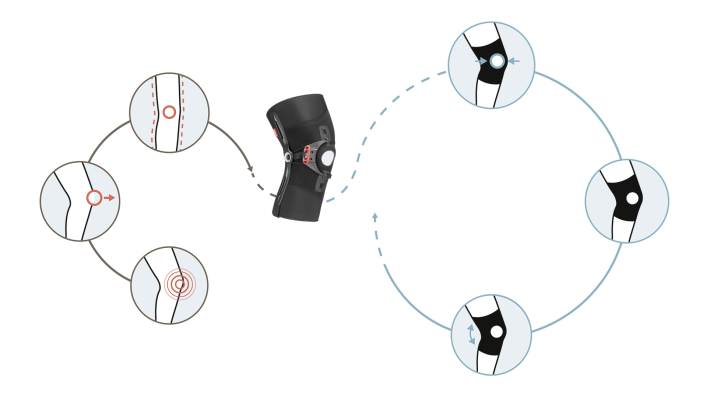 The Patella Pro’s unique mode of action provides the patella with targeted tracking in the respective flexion angle, relieving the joint structures. 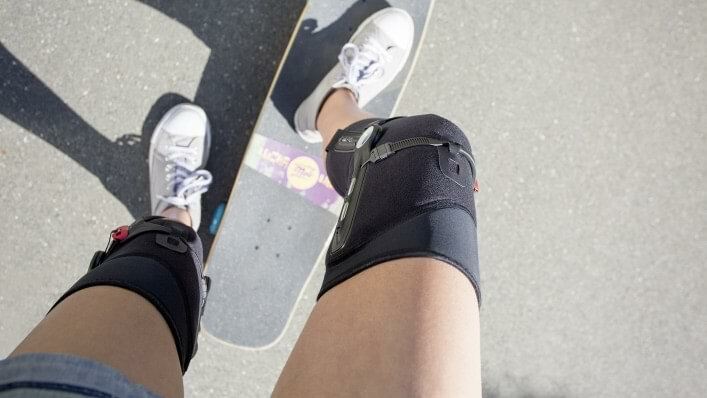 The Patella Pro brace helps to relieve knee pain. This makes everyday activities such as taking the stairs or going on a walk possible again, as well as sporting activities such as school and recreational sports. The Patella Pro distinguishes itself with its lightweight and slim design and is unobtrusive when worn under clothing. Elements which adapt to one another ensure a precise fit to the respective leg shape. Handy quick-release closures and donning and doffing loops make it easier for you to put your brace on and take it off on a daily basis. 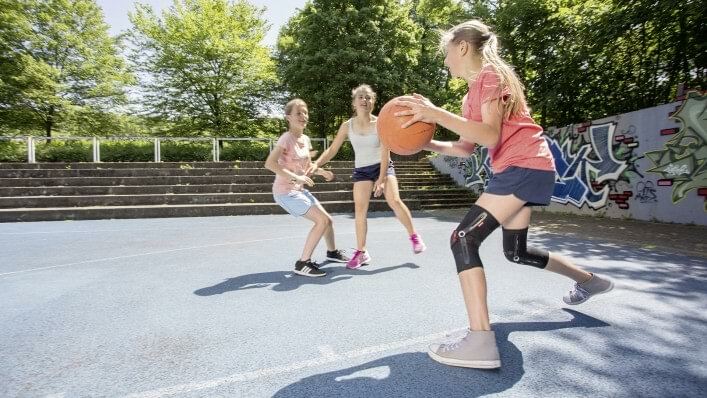 The breathable materials of the Patella Pro make it pleasant to wear, and they are also designed for a firm fit so that the brace does not slip while you move. It is important for your brace to fit properly so that unpleasant or painful pressure points cannot develop. 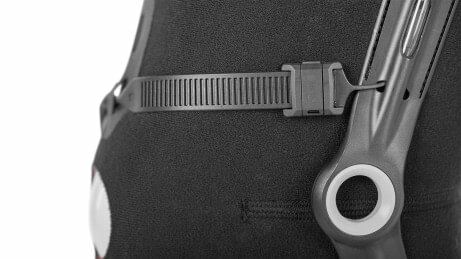 This is why the Patella Pro features practical hook-and-loop and ratchet closures, which your physician or technician can use to adjust the brace to your individual requirements. Do you have pain at the front of your knee joint? If so, your physician may have already diagnosed you with “patellofemoral pain syndrome”, meaning pain in the front of the knee joint. This is one of the most frequent clinical pictures in orthopaedics. Every fourth knee problem is anterior knee pain. Incidentally, women are affected more often than men. How does anterior knee pain actually occur? This condition can have a variety of causes. Excessive strain on the patellofemoral joint is often thought to trigger anterior knee pain. Normally, the kneecap (patella) glides along the thigh bone as if on a track. 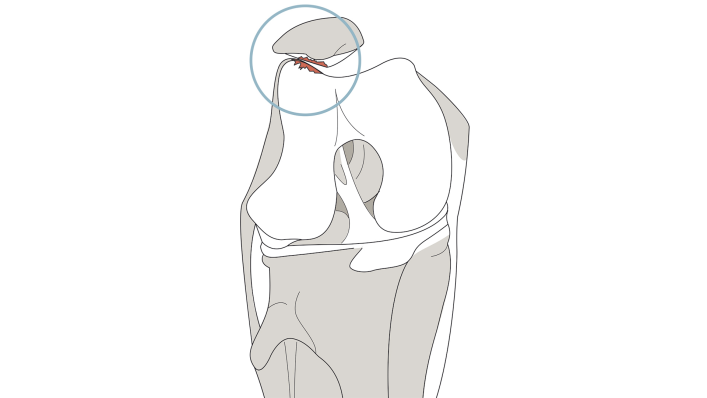 In anterior knee pain, the patella is often displaced. It slips outwards and causes pain. The patella can become displaced especially during knee flexion from 10° to 30° because tracking is comparatively weak in this range. With greater flexion (>30°), the patella is firmly seated in its “holder”. The risk of maltracking is then low. For patients with anterior knee pain, smaller flexion angles are especially critical, as these can relatively quickly result in the patella shifting outwards. This is precisely where the Patella Pro comes in with its unique mode of action. Thanks to its dynamic re-alignment mechanism, it tracks the patella precisely to the middle of the joint, i.e. centres it. This relieves the joint cartilage. We call this process “dynamic” because the patella is only ever tracked as much as the respective movement demands. At the beginning of flexion, when the patella is not yet sufficiently guided in its “bony track”, the brace tracks it specifically, thus supporting the overstrained musculature. If the knee joint is flexed further, the patella glides into the “track” of the thigh bone. Problems such as "anterior knee pain" have numerous causes. Altered muscle coordination often results. Secure tracking of the patella can establish the conditions for pain-free movement. This task is assumed by the Patella Pro. 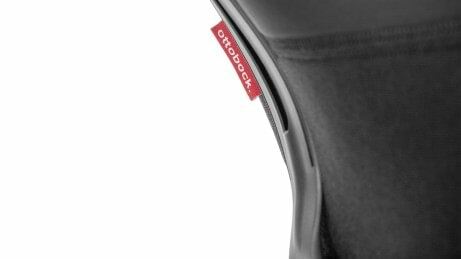 For the most effective fitting with the Patella Pro and to support your rehabilitation, Ottobock has developed Patella Move – a special exercise programme. It helps you strengthen your muscles and relearn correct muscle coordination. You can easily perform the exercises at home. However, it is important for you to first talk to your doctor or physiotherapist to determine whether the exercises are suitable for you and to make sure you perform them properly. You start out with pain reduction exercises which simultaneously serve to make your knee more mobile. Training also helps alleviate inflammation in the knee, so that swelling in the affected areas is reduced. With this training programme, you exercise your thigh musculature which is an important prerequisite for pain-free movements, also in the knee. Training proper muscle coordination and balance contributes to your long-term rehabilitation success as well. Here the exercise goals are muscle development and coordination training. The causes of anterior knee pain include weakened musculature and disturbed muscle coordination. With these exercises, you target the underlying cause of your complaints. Further information on the Patella Move programme is found in the download area. The patient information tells you about the clinical picture of anterior knee pain, therapy options, the functionality of the Patella Pro and the Patella Move programme. In the special "Patella Move" exercise programme, we have compiled exercises to support the fitting with the Patella Pro. How do I get the Patella Pro? The Patella Pro is generally prescribed by your doctor and fitted to you by your orthopaedic technician. What is the course of therapy for anterior knee pain? The therapy concept is individually coordinated for you and your needs. Medications can initially help deal with acute pain. Physiotherapy is intended to help improve muscular coordination. Simultaneously emphasis is placed on correcting functional malpositions and compensating postures. Secure tracking of the patella can establish the conditions for pain-free movement. This is the purpose of the Patella Pro. Does an operation exclude the use of the Patella Pro? No, in fact the Patella Pro is being used very often after an operation in the meantime. Experience in clinical practice has shown that many patients experience significant relief of their complaints with the Patella Pro after an operation. However, it is once again important here that the Patella Pro is integrated in a well-conceived concept consisting of training, rehabilitation and therapy. 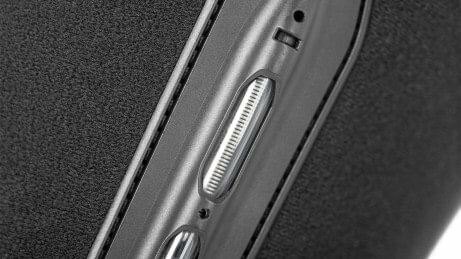 How long does it take before my pain is reduced with the Patella Pro? Unfortunately there is no general answer to this, because the course of healing is highly individual. This is influenced to a large degree by your physical condition, whether you are suffering from chronic or acute complaints, and how much time you invest in your rehabilitation. 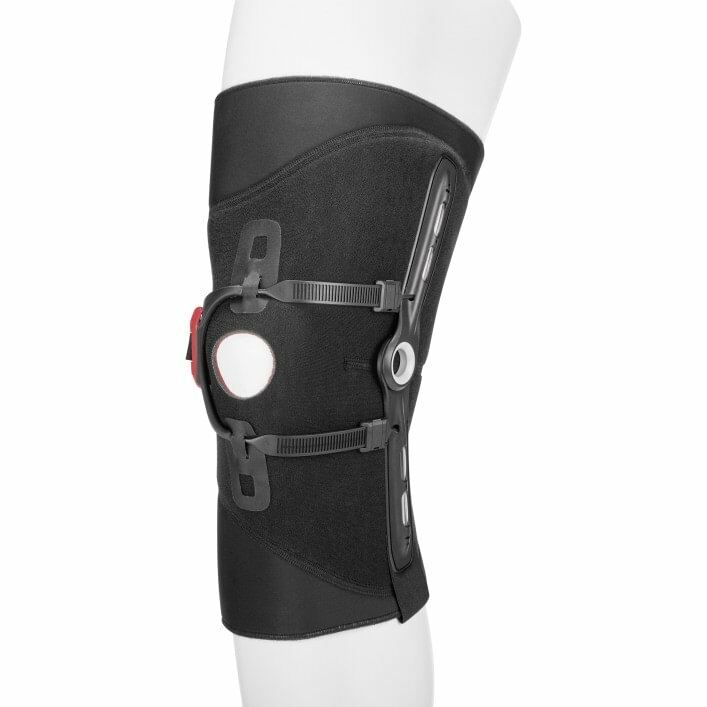 Yes, because the Patella Pro is very lightweight and features a slim design. 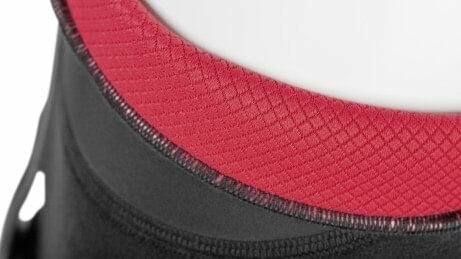 The materials are also comfortable to wear, and breathable so that no unpleasant odours develop. Will I need to wear the brace forever? No, the brace is worn for approximately half to one year. 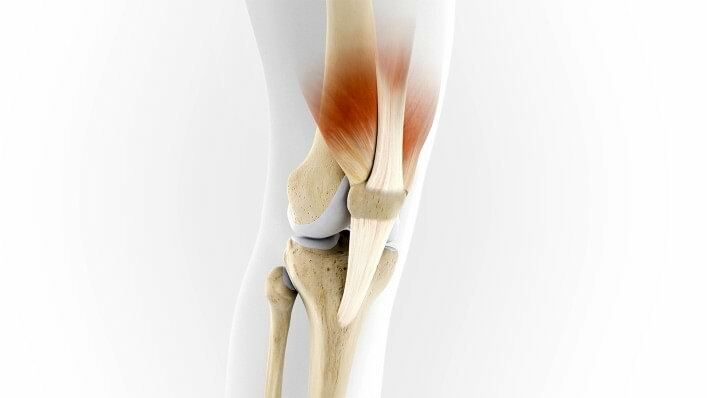 The muscles in the knee are then once again able to hold the patella in the right position independently.